Brian Shellum is a full time writing historian with a focus on the Buffalo Soldiers, military attachés, and military intelligence history. He retired from government service in 2015 after serving eight years as a senior intelligence officer with with the Department of Defense in the Joint Improvised Explosive Device Defeat Organization. Prior to that he served as a government historian at the Defense Intelligence Agency (DIA) for 12 years. He retired from the U.S. Army in 1994 after service as an armor officer and West European foreign area specialist. His career highlights include various troop assignments with tank units, a tour as an army attaché in Bonn, Germany, Gulf War service with the 2nd Brigade, First Armored Division, and work as a senior political-military analyst at DIA. He lived and studied for ten years in Germany and speaks fluent German. He graduated from the United States Military Academy at West Point, holds a graduate degree from Campbell University, and studied at the University of Bonn. His military decorations include of the Bronze Star Medal and the Order of St. George. Brian Shellum's publications at the Defense Intelligence Agency include Defense Intelligence Support in the Gulf War: A Chronology (1997), At the Creation, 1961-1965: Origination Documents of the Defense Intelligence Agency (2002), and a number of classified studies and histories. 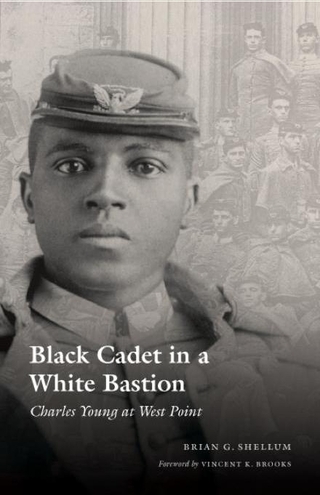 He published a book on Charles Young, the third Black graduate of West Point, titled Black Cadet in a White Bastion: Charles Young at West Point, in 2006. 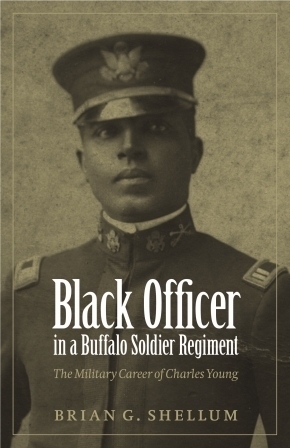 His second book on Young, Black Officer in a Buffalo Soldier Regiment: The Military Career of Charles Young, was released by the University of Nebraska Press in 2010. His third book titled African American Officers in Liberia: A Pestiferous Rotation, 1910-1942 was released by the University of Nebraska Press in August 2018. Shellum broadened his research and writing with “Buffalo Soldiers on the Western Frontier: 1866-1890” which appeared in the Routledge Handbook of U.S. Diplomatic and Military History Since 1865 published in June 2013. I also wrote "Buffalo Soldiers in Africa: African American Officers in Liberia, 1910-1942" for the Routledge History of Race in the American Military published in 2016. When he is not researching and writing, Brian enjoys fly-fishing, skiing, and woodcarving. He is married and has two adult children.